This decorative Roman Hanging Basket is made from high grade polypropylene. 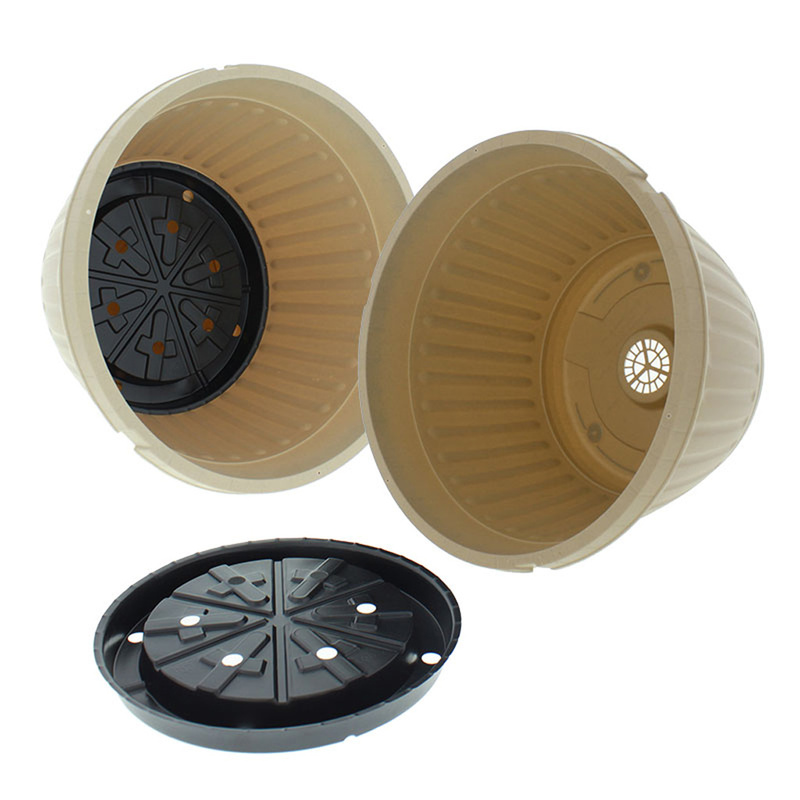 The planter is 6 1/8" tall and has an interior dimension of 9 1/4". The hanging pots I purchased are great quality. Looks like they'll hold up for a few years. 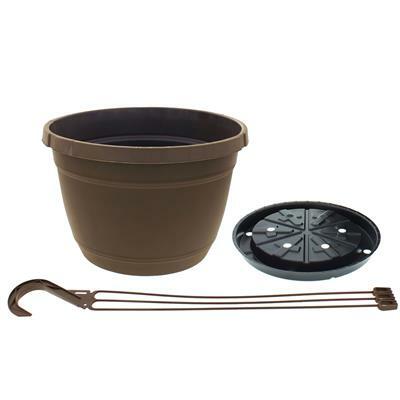 My gardening is limited to pots and containers, as it's quite difficult to get up once I get down. 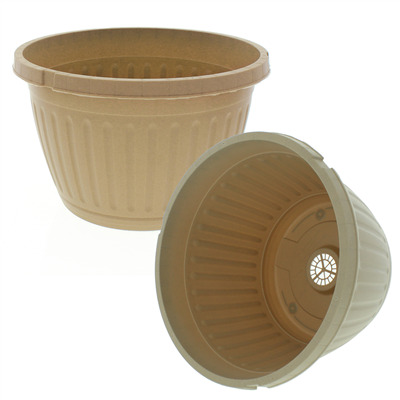 the planter is a nice size, sometimes they run small, very durable and looks nicer than an average plastic pot. 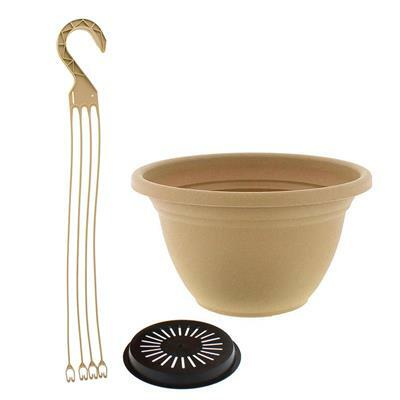 you can also use it without the hanger as a decorative pot. I've been pleased with the quality and delivery of all your products. Nice to be able to order smaller amounts at a discounted price instead of the bulk amounts I'd never use. I was very pleased with the quality of my plantersand the speed of delivery. Glad I found the Greenhouse Megastore. 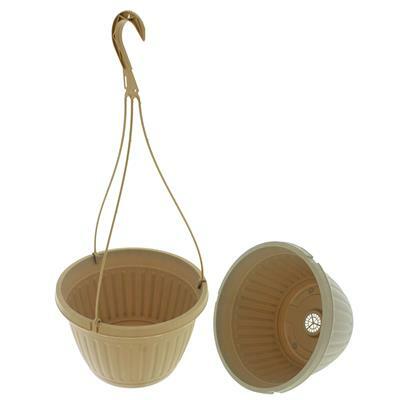 The hanging baskets were exactly what I was looking for (but could not find), good price and quality. Comments were helpful. 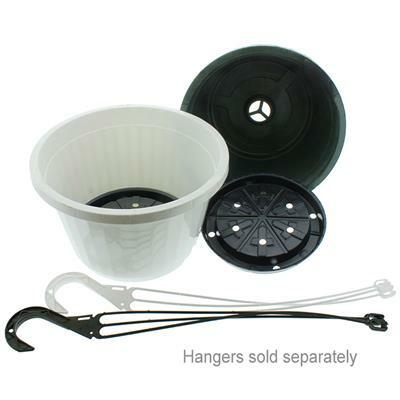 Pots and hanging saucers are good quality and shipping was fast. Would shop again.